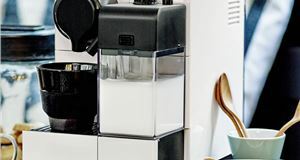 From an in-car Amazon Alexa and DIY Synth kit to a home brewery set and Bluetooth tracker, we break down the best budget buys for under £50. 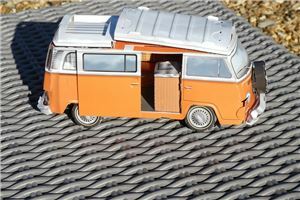 If you can't afford a Volkswagen T2 camper van, this could be the next best thing — a build-your-own T2 detailed cardboard model complete with a pop-up roof, sliding side door and even a proper interior. It's a 1:18 scale so measures about 25cm in length when finished and comes in a neat hardback book, which includes all the cardboard sheets plus a companion guide. It requires a lot of patience and a very steady hand, but the wheels and bumpers are very fiddly. If you fancy a go at another cardboard construction, with the added bonus of a working SLR camera by the end — the Konstruktor DIY SLR Camera is a good shout. The kit contains everything you need to build a 35mm film SLR camera, as well as leather patches and a vinyl sticker sheet to customise it. There's something to be said for brewing your own beer — aside from just the satisfaction of making your own batch, many argue it actually tastes better when you make it yourself. While we can't confirm or deny that it'll taste better than Brewdog you can buy off the shelf, this gift will definitely be a hit with anyone who fancies themselves a home-brewer. This kit comes with almost everything you need to brew a gallon of Brewdog's Elvis Juice, their popular citrusy beer. This reusable kit comes with simple instructions to help you get to grips with traditional brewing methodology. You'll have eight pints of crafty goodness in no time. And, if you don't fancy that flavour, why not opt for the Chocolate Maple Porter or Chestnut Brown Ale with the Brooklyn Brew Shop Beer Making Kit. 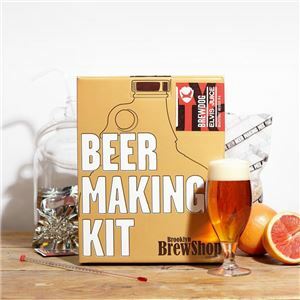 The kit focuses on providing a small-scale setup without dumbing down the process, perfect for anyone interested in inventing an IPA or carefully crafting a cold one. 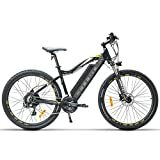 The BW-ANC1 (catchy name, right?) 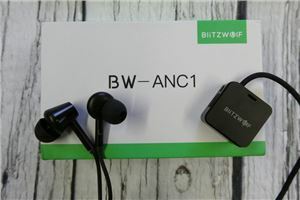 are an affordable pair of wireless, Bluetooth in-ear headphones that offer Active Noise Cancellation (ANC). Are you staring to see where the name comes from now? 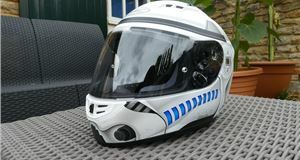 They can actively reduce ambient noise by as much as 20 decibels, which makes them great for train commutes and offices because they'll block out the hum of the train and the noise of quiet chatter. 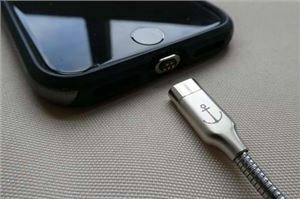 They're also IPX4 waterproof, so they'll be fine if water splashes on them - like at a gym. Anker's Roav VIVA lets you use the simple connectivity of Amazon's Alexa voice assistant in your car. Simply ask for directions, listen to audiobooks, add things to your shopping list, play music, ask how old Christopher Walken is, ask Alexa what the meaning of life is and much more over Bluetooth, Carplay, Android Auto or an Aux-in connection. Spotify is sadly not supported (yet). You also get quick dual charging ports as part of the device, so you can plug a phone, sat nav dash cam etc in to charge as long as they come equipped with a USB cable. The device works fairly well, although it can fail to hear you say 'Alexa' sometimes — and it's very simple to use. 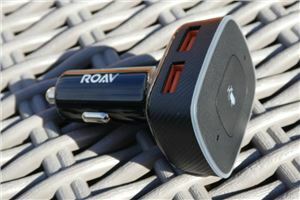 If you have a car without Bluetooth then the Roav VIVA is a great upgrade to make life easier behind the wheel. Do you know a synthesiser fan who also happens to like tinkering around with electrics? Well, look no further for a gift. 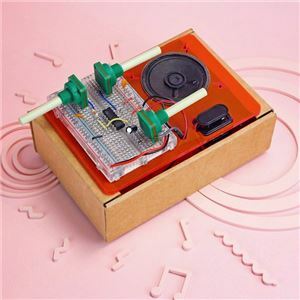 This DIY Synth Kit from Firebox lets you plug components into the prototyping breadboard to create three different type of synth: a Dub Siren, Stutter and Atari. Three potentiometers control the volume, pitch and frequency — but it's up you to to make circuit changes and add new parts to create an array of new sounds. 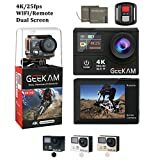 You can even add a custom keyboard to hook it up with your computer. Celebrate the architecture of London with this detailed model, containing over 450 LEGO pieces. 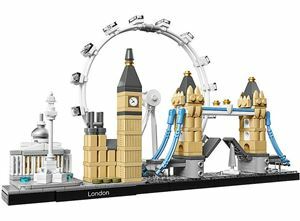 This set features the National Gallery, Nelson’s Column, London Eye, Big Ben and Tower Bridge (which opens), and is finished with a decorative “London” nameplate. The model — which measures over 15 cm high, 28 cm wide and 8 cm deep — is the perfect size to sit decoratively on a desk or coffee table. Alternatively, the New York City Architecture set (which is also under £50) features the Flatiron Building, Chrysler Building, Empire State Building, One World Trade Center and the Statue of Liberty. 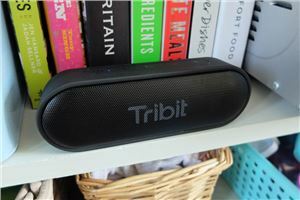 Among the many portable Bluetooth speakers available, the Tribit makes a good case for itself. 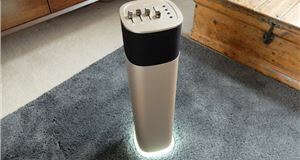 It feels a good quality product for the money and produces an impressive all-around sound for the price. 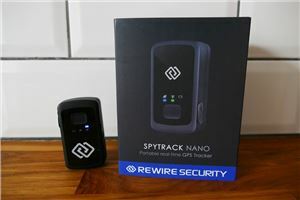 This tracker by Rewire Security is ostensibly the simplest piece of electrical kit you’ll ever buy. 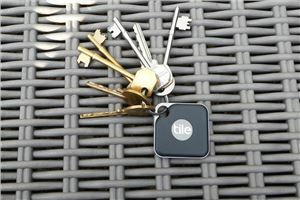 It’s a small tracker device for keeping tabs on any particular thing of your choice — be it a car, an object or a person. 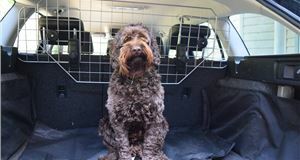 If you want to track a car, you’ll need to buy the optional magnetic case (£25) if you want to make it fully waterproof and stick it in the wheel arch. Or for a fiver less you could buy an official car hardwire kit, that’ll also prevent the battery from running out. You can also use the Nano in your own car for security reasons. On that basis, it’s very cost effective indeed. Using the desktop site you can set up ‘geofence zones’ that allow you to place markers on the map so that if the tracker goes outside of them you’ll be alerted. You can also set up alerts if the tracker moves, travels beyond a certain speed or is shaken.